Kenan Bargan is currently tenth in Super League (Greece) and second in group Gr. 8 of Greece Cup (Greece) with his team Larissa. Greek, Modern (1453-) midfielder Kenan Bargan, who is currently under contract to Larissa in Greece, joined the club September 11, 2018. He stands 179cm high and thus is 5cm smaller than his team on average. Having been born in 1988, on October 25, his age of 30 makes him senior to the average player of Larissa. Kenan Bargan was used in 20 of the matches in the present term. In terms of preferred feet, he is a left footer, like 46% of Larissa. At 165.35lb, he carries 2lb less than the average Larissa player. Kenan Bargan is enjoying a great Super League 18/19 (Greece) season so far, netting three times (4.2% of his team's sum) and initializing no goals. This leads to roughly 0.15 scores per match in the resent season. One could say he translated to unchanged form compared to last year yielding a per-match-quota of 0.15 goals and 0 assists. His best season was Football League 11/12 (Greece), because in this year he had his highest success in terms of goals. 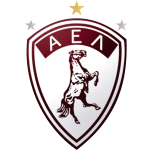 Larissa has eight more midfielders in their squad, namely Adnan Secerovic, Hristofor Hubchev, Panagiotis Ballas, Alexandros Chalatsis, Noe Acosta, Lefteris Bamis, Nikos Golias and Leozinho. So far this season, Kenan Bargan tied 50% in Super League and won 67% of Larissa's matches in Greece Cup. They also managed to win 2 fixtures in a row in Super League. His record stay with a club is Veroia FC (Greece) with five years and a day. 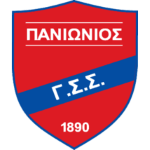 His shortest stay in a club was four months in Kalloni AEL FC (Greece). On the whole, Kenan Bargan joined the pitch 69 times and left it 83 times after the start of the match. In the present term, he played less games until end. To date, collectively he holds 33 penalties. Lately, he seems to be more quiet since less penalties were given to him than usually. It's been 28 days since he played his latest match. 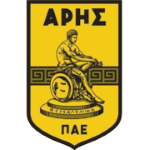 Kenan Bargan was contracted to a few clubs during his professional career, one of them being Aris Thessaloniki FC, for whom he played before coming to Greece. Larissa's number 7 is Kenan Bargan.